Heidi J. Moore – Parent Advocate for Children with Disabilities and Cancer – Making Connections. Finding Solutions. Purpose of this site – To develop a place where families, providers, politicians and concerned citizens can go to find information and learn how to advocate for children and adults with disabilities and pediatric cancer. 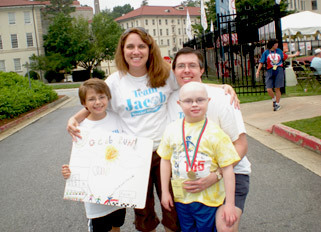 My goal is simple – Make the issues easy to understand and explain to advocates what they can do to influence change with services to children with disabilities and increasing funding for childhood cancer research in the United States.